Local runners will have the first opportunity to race in 2012 this Sunday (Jan 8th) when Letterkenny AC stages its New Year “Flat Five Mile” Road Race. Registrations will be taken at the Aura Leisure Centre, with the presentation of prizes also taking place immediately afterward at Aura. Entry fee is eight euro. The race will start close to the entrance to Ballymacool Town park at 11.30am and will finish in the ground of Aura. Registration is from 10am at Aura. 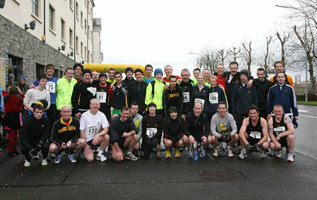 Letterkenny AC stages it's New Year "Flat Five Mile" Road Race.